Originally published under the title, " The Middle East Studies Mess." Middle East studies programs have preached for decades that Israel is at the root of regional problems. Today, it is the only bastion of stability. The Middle East is in chaos. After four years of Syrian civil war, there are now more refugees and displaced persons seeking to escape violence than at any point since World War II. Libya and Yemen are in chaos. The Islamic State has both revived medieval notions of the caliphate and returned such practices as slavery, beheadings, and crucifixions to the headlines. Turkey, once celebrated both as a bridge between East and West and more recently as proof of the compatibility of political Islam and democracy, slides down the path to Islamist autocracy. The Taliban is resurgent in Afghanistan, and Iran's path to nuclear weapons seems assured as Western leaders - including Australia's Foreign Minister Julie Bishop - retreat on long-standing principles. Sectarian struggle threatens to set the entire region alight. Indeed, from Algeria to Afghanistan, it seems that the only bastion of stability is Israel. The field of Middle East studies has become an exercise in radical political self-affirmation. 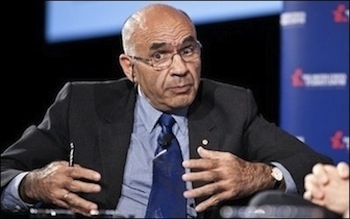 To understand how narrow and polemical academic conventional wisdom about the region has become, look no further than Australian National University Professor Amin Saikal. Throughout his career, he has at times appeared to internalise regional conspiracy theories. In a 2004 Sydney Morning-Herald op-ed, for example, Saikal embraced the fringe, antisemitic conspiracy theory that a small cabal of neoconservatives hijacked American policy. While he was unreservedly critical of the US-led invasion of Iraq, his real animus appeared to be American support for Israel in its existential struggle against rejectionist Arab states and terrorist groups like Hamas, whose charter openly endorses genocide. As the Islamic State expands its grip over the Middle East, Deakin University will debate whether we are witnessing "the demise of ideology as a normative tool for change." 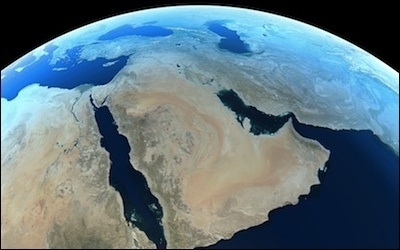 In October 2015, Deakin University in Melbourne will host an international conference on the "Geo-Politics of the Middle East." Among the topics to be discussed are whether "we [are] witnessing the demise of ideology as a normative tool for change." If the role of ideology is declining, someone should tell Abu Bakr al-Baghdadi, the Islamic State's Caliph, Hezbollah's Secretary-General Hassan Nasrallah, or Iran's Supreme Leader, Ali Khamenei. 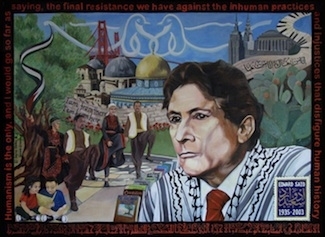 A mural honors Edward Said at San Francisco State University. President Obama has followed the policy prescriptions of Khalidi, Said, Saikal and Vincent to a 'T'. Universities may see themselves as bastions of knowledge and intellectualism, but they have long since forfeited this role. Instead, they have become repositories for theories long since discarded in the region and that bear little resemblance to reality today. The more professors prioritise theory over fact, the more they will condemn themselves to irrelevance. Unfortunately, when policymakers embrace blindly their untested conventional wisdom, the consequences can be far worse. Dr. Michael Rubin is a resident scholar at the American Enterprise Institute, a senior lecturer at the Naval Postgraduate School, and the author of Dancing with the Devil: The Perils of Engaging Rogue Regimes (Encounter Books, 2014) along with a number of other books on Middle East politics. He thanks the Middle East Forum for its sponsorship of this essay.